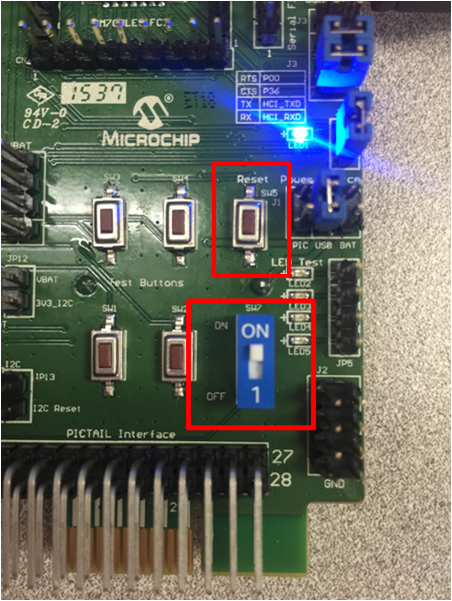 This lab takes you step-by-step through the process of updating the firmware on the BM70 module. New firmware can add BLE specific functionality for new revisions of the Bluetooth specification as well as provide a way to fix bugs discovered in the current device Bluetooth operation. 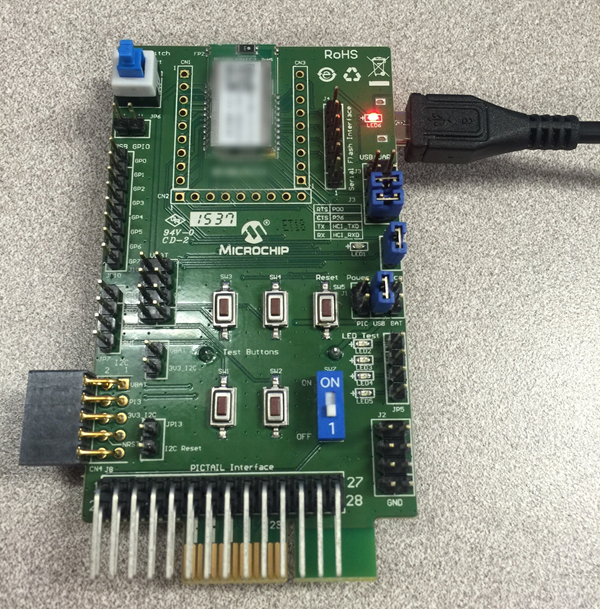 Contact your local Microchip Sales office to obtain BM70 firmware package updates. The UART RX and TX lines are used to communicate between the Host MCU and the BM70. Be sure to install the MCP2200 USB drivers before starting. Also, extract the BM70 Firmware Package files to your computer. The first thing we will do is check which firmware version we currently have on the module. Connect the BM70 PICtail to your PC. Ensure the jumpers are set as shown. 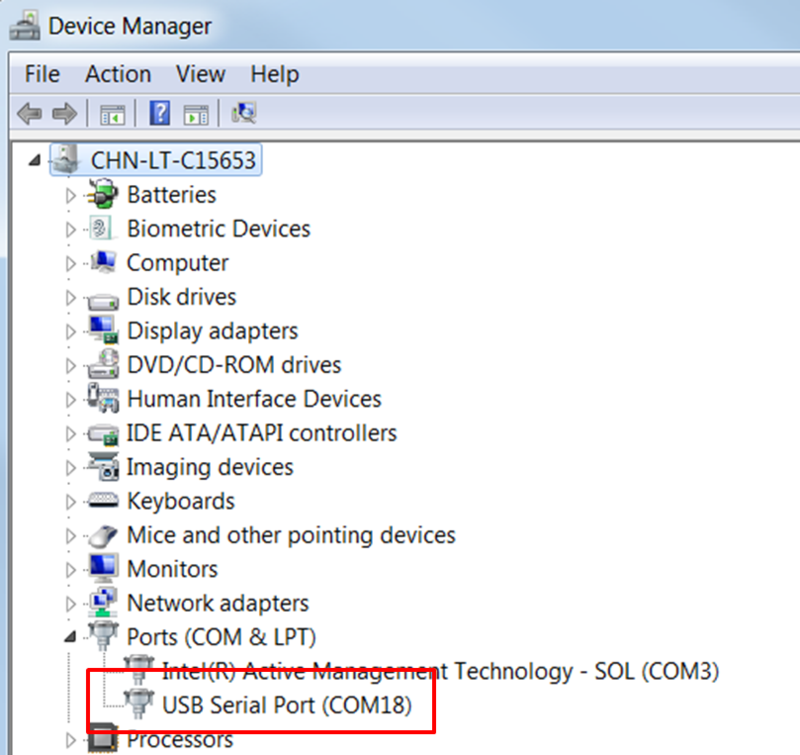 Open the Device Manager window by going to the Start Menu -> Control Panel -> Hardware and Sound and then selecting Device Manager. Once open, check which COM Port has been assigned to the BM70 PICtail. In this case it is COM18, please note that yours will probably be different. Launch the ISupdate Programming Utility and select the correct COM port (from substep a). 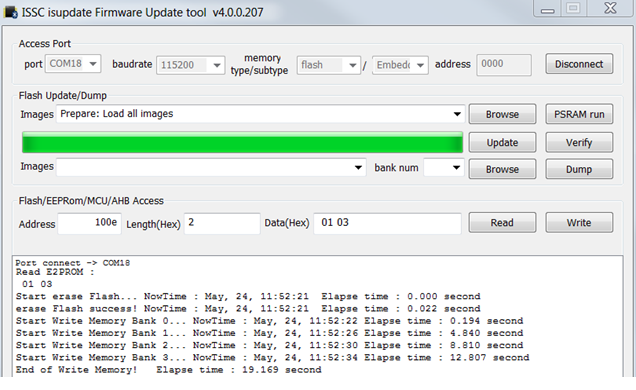 Set the baudrate to 115200 and the memory type to Flash/Embedded. Then click Connect. To find the currently installed version, under the Flash/EEPRom/MCU/AHB Accesss section, enter 100e in the Address field and 2 in the Length(Hex) field. Then, click Read. In this case, we can see that version 1.03 is installed. 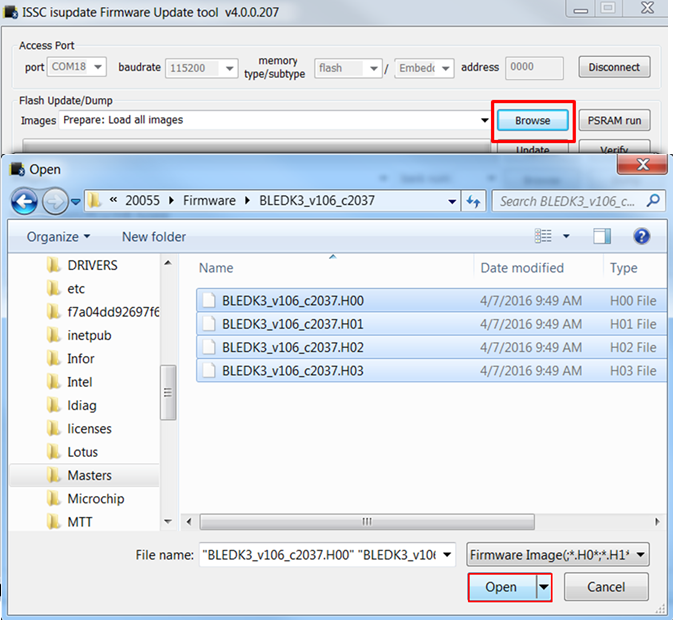 Click on the Browse button and navigate to the folder where you extracted the BM70 Firmware Package earlier. Select all the needed Hex files in the dialog box and click Open. After a few seconds the update will be complete and you will see a screen like the one below. 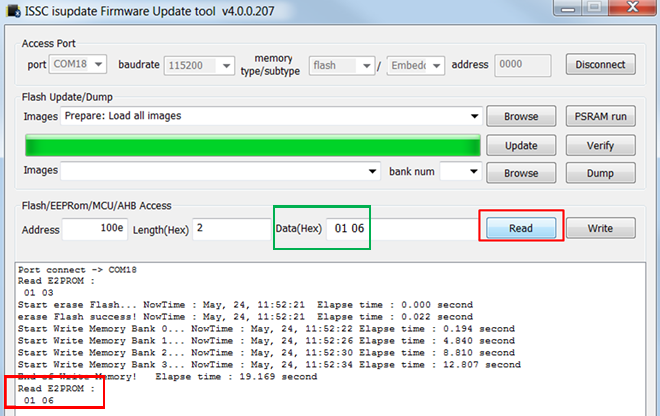 You can verify that you have the new firmware version by clicking Read under the Flash/EEPRom/MCU/AHB Access section again. Lastly, you can click Disconnect and close the ISupdate tool.